여러분 안녕하십니까? 웰컴투아메리카의 박형권입니다. 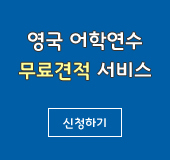 오늘은 텍사스의 ‘San Antonio’에서 함께 합니다. 비에트리스 긴테로라는 분을 모시고 ‘San Antonio’ 구경을 할까 합니다. Saludes a tolos! Hello, everyone! 스페인어로 인사를 했는데요, “여러분, 안녕하세요?”라는 말이라고 합니다. My name is Beatrice Quintero. 저는 인구 2,350만 명으로 남북한 인구의 3분의 1, 면적은 67만8천 평방 킬로미터로 한반도의 3배 이상 되는 거대한 주 텍사스에 와 있습니다. 미스 퀸테로가 스페인 말로 인사 드렸는데요, 이 곳 텍사스는 인구구성이나 음식 등 생활 면에서 남미계 인구의 영향이 큰 곳이라는 느낌을 갖게 됩니다. ‘Ms. Quintero’는 텍사스에서 오래 사셨지요? I was born in San Antonio, Texas, a long time ago. 킨테로 씨는 이 곳 텍사스에서 태어나서 자란 분이라고 합니다. 누구 못지않게 텍사스를 잘 아실텐데, 텍사스에서 가장 좋은 곳은 어디일까요? I live in Central Texas. And the heart of Texas is San Antonio. San Antonio is located deep in the heart of Texas. 심장 깊은 곳이라는 말은 샌안토니오가 텍사스의 심장부, 즉 중심부에 있다는 말도 되고요,마음이 넓고 따뜻하다는 의미도 됩니다. 여기서 잠깐 샌안토니오 시 홍보담당관인 ‘Eberlyn Bailey’라는 분을 전화로 연결해서 이야기를 들어보기로 하겠습니다. It’s a big state with a big heart! We actually have different personalities in different cities. San Antonio actually is a very unique city in Texas because we have a Spanish colonial origin. So, a lot of the architecture that you see here is Spanish colonial. 이 지역의 방언이나 지역적 특성을 가진 영어 표현들이 있나요? And we use Spanish a lot because we were under Spain’s rule for a long time. “Bienvenido!” which means ‘welcome’, “Welcome to San Antonio”. And instead of ‘goodbye’ we will say “Hasta luego!” which means ‘until we see you again’. 그리고 텍사스의 음식에 대해서 물어봤는데요, 텍사스의 멕시코 음식점을 ‘Tex-Mex restaurant’라고 한다고 합니다. 텍사스에는 이 텍사스 식 멕시코음식점이 무척 많습니다. The best-known tourist attractions in San Antonio are of course number one, the Alamo. The Alamo is one of the missions that were established here a long time ago by the Espanols when they settled Texas in the 1700’s. ‘Alamo’는 1836년에 텍사스인들이 독립을 위해 멕시코에 대항해서 싸웠던 곳입니다. 250-260 명의 정도의 민병대가 2400여명의 멕시코 군대에 대항해서 싸우다 거의 전멸한 곳입니다. 이 곳은 텍사스 공화국의 기원이 되었으며 텍사스는 하나의 주가 되었습니다. 알라모 요새와 관련해서는 아주 유명한 말이 있지요. What it signifies is remember the hardship and the sacrifice that the founders of our state and Texas made. 미국 사람치고 이 말을 모르는 사람들은 거의 없을 겁니다. 그리고 이 지역의 또 다른 관광명소는 무엇이 있을까요? We have our wonderful River Walk. Our River Walk meanders through the middle of our downtown section. * Riverwalk: 강변산책로라는 의미. 샌안토니오에서는 지역 이름. And you are located in the center of Texas where shops, restaurants, museums, everything you would want to do in a beautiful town… You can also take a boat ride. The San Antonio River is the front door and the side door and the back door to many many of the most beautiful hotels. You can walk out of your hotel room onto the lobby and to the River Walk and go to a wonderful restaurant. 멋진 호텔과 쇼핑센터, 음식점, 박물관 등이 강의 산책로에 연결되어 있어서 모두 걸어서 다닐 수 있게 되어 있습니다. 음식점도 가는 곳마다 악사들이 연주를 하고 노래를 불러주는 곳이 많더군요. 웰컴투아메리카, 오늘은 텍사스의 가슴 깊은 곳, ‘San Antonio’를 찾아서 ‘Bietris Gintero’라는 주민을 모시고 이야기를 나눠봤습니다. 저는 박형권이었고요, 다음 주에 다시 뵐 때까지 행복한 한 주일 보내시길 바랍니다. 안녕히 계십시오.